Tired of your plain drab salt and pepper shakers? 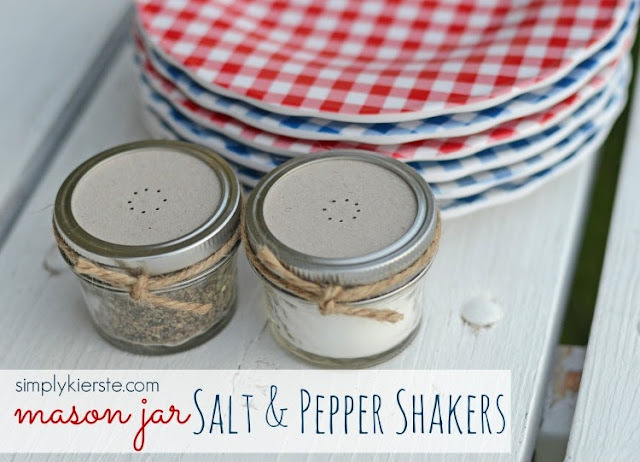 Give these mason jar salt and pepper shakers from Simply Kierste a try. What a unique and cute way to serve up the spice daily at your home or for an outdoor party. I am now on the hunt for some of these little mason jars for my own home.